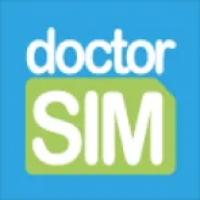 Thank you for taking the time to post a review of doctorSIM! Thanks for posting a review of your positive experience with doctorSIM. We are delighted that you were extremely satisfied with the service received. Many thanks for taking the time to post a review of your positive experience with doctorSIM! Please accept our apologies for your negative experience with doctorSIM. Obviously, AT&T's servers have not been down for over a month. So we can locate your unlocking request in our system and find out what happened, reply to this comment with your order number. We'll get back to you with a solution as soon as possible. Please accept our sincerest apologies for the delay in sending your unlock code to you. Due to a technical error, the unlocking instructions were not sent to you automatically by our system. 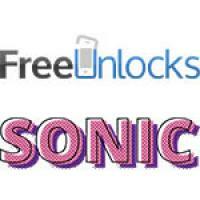 We have now resolved the issue and sent you an email with the unlock code to unlock your phone. Do no hesitate to contact us by replying to that email if you have any questions. 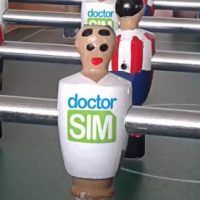 We are very sorry to hear you were disappointed with your experience at doctorSIM. Please contact our customer support team at your earliest convenience or leave your request ID number here so we can follow up for you immediately. Thank you for taking the time to post a review of your experience with doctorSIM and spread the word to your friends. Your phone check request is still in progress. Please note that all our delivery times are in business hours/days which are Monday to Friday from 10am to 10pm (GMT +1, GMT +2 during summer time). If you need to get in contact with our customer support team at any time for an update on your request, simply reply to one of the emails you've received from us. We will be in contact with you via email as soon as your report is ready. Please accept our apologies for the issues you are having completing the unlocking process. Thank you for sending us the video. Unfortunately, and as explained by email, we need you to give us permission to open the file. 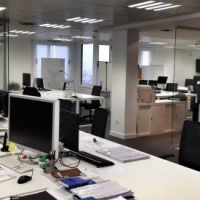 As soon as you have done that we will review the video and contact you immediately with a solution. A huge thanks for taking the time to post such a great review of doctorSIM! We really appreciate you sharing your positive experience with others. Many thanks for your kinds words and for leaving such a great review of your experience with doctorSIM. Thanks for posting such a great review of doctorSIM! We really appreciate you taking the time to share your great experience with others. Please contact us at your earliest convenience or leave your request ID number here so we can follow up for you immediately. Please contact our customer support team at your earliest convenience so they can assist you with your top up request. We really appreciate you taking the time to write a review on doctorSIM. Doctor SIM arranged for my iPhone 6 to be unlocked via Apple's servers. I had the choice of unlocking it via the phone or itunes. I chose Itunes, both were quick and easy. Could you please contact us at your earliest convenience so we can locate your request and follow up for you. However, do not worry about your money. Although the bank declined the charge, they sometimes withhold the money for a period of time for security reasons. After that period the money will be returned to your account. Please could you leave your unlocking request ID in the comments below so we can follow up on these claims immediately. Please accept our sincerest apologies for being unable to unlock your mobile phone within the guaranteed time frame. We are not withholding your money and issued you a full refund the moment we didn't meet the deadline. The money will be back in your account very soon. We would also like to assure you that all of our customer reviews on websites such as Review Centre, Trustpilot, Google etc. are written by our customers and fully verified. Both good (over 90%) and bad reviews are included. If you have any further questions, contact us through our chat service or by replying to one of the emails you received from us. Many thanks for taking the time to post a review of your experience unlocking your phone with doctorSIM.